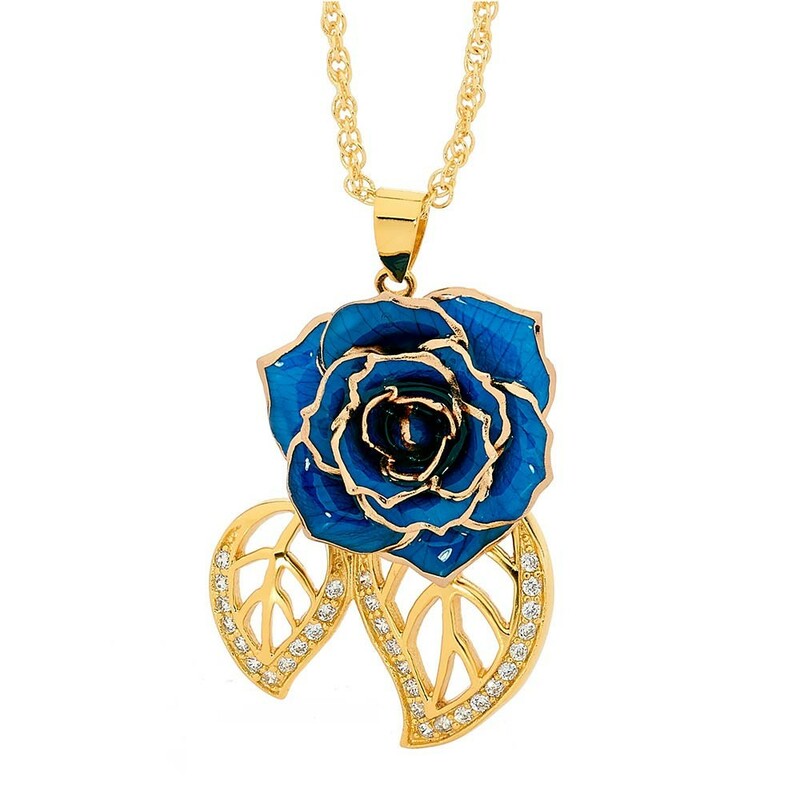 A stylish pendant created using natural blue miniature rose petals trimmed with pure 24 karat gold. The styling is in a classic leaf theme which incorporates 30 brilliant synthetic diamonds. 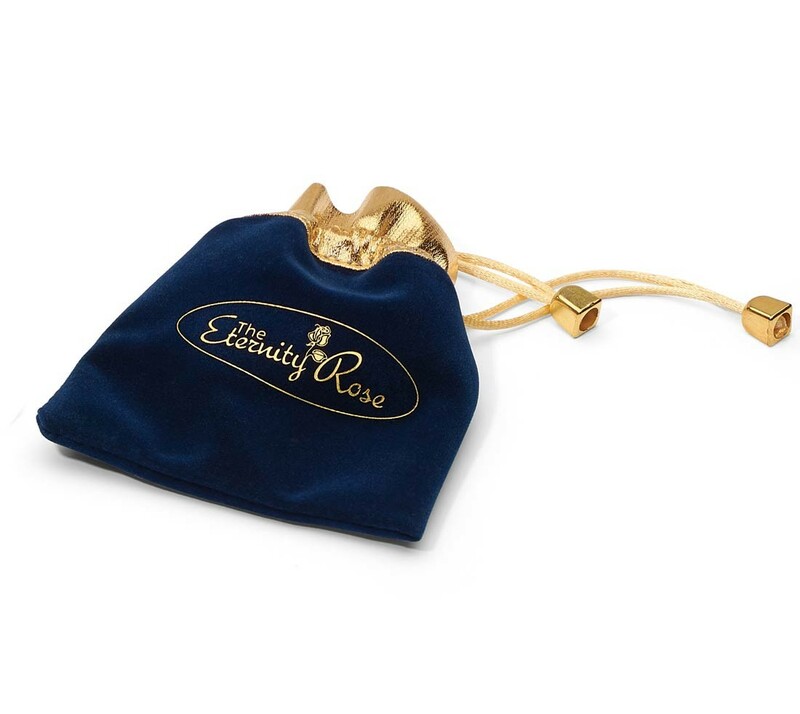 Supplied in its own elegant velvet pouch featuring a gold-trim detailing and braided draw strings. Intricate detail which is backed up by a warranty for life. 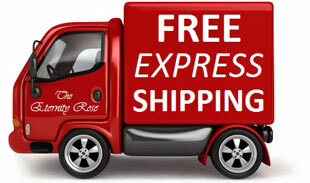 Rapid delivery and dispatch is guaranteed and order processing takes only hours. Two-day express transport is arranged without extra cost. 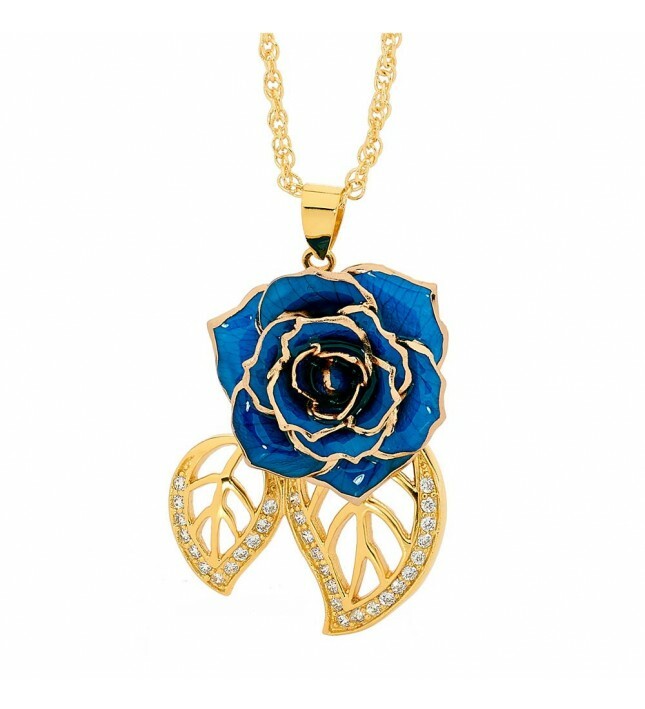 A beautiful pendant created using blue miniature natural rose petals that have been intricately glazed and decorated with 24 karat gold. A matching 24 karat gold-dipped multilink chain is also supplied. 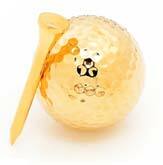 The pendant's miniature rose head has a diameter measurement of approx. 0.91”. This pendant features two leaf-shaped figurines that have been dipped in 24 karat gold and decorated with 30 radiant synthetic diamonds. The dimensions of the pendant overall are 1 1/16” in width and 1 1/2” in height. Each pendant receives a generous coating of purest 24 karat gold and comes presented with its own stylish velvet pouch in navy-blue, decorated with golden braided draw strings. Each pendant is produced using exquisite skill by talented craftsmen in a complex glazing and gold-trimming process that involves 60 steps, and takes more than three months from start to finish. Every pendant is made by hand to the most rigorous criteria and stands as a unique and individual piece of art. 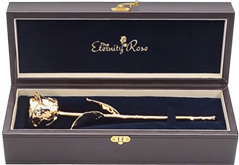 Part of our stunning Eternity Rose product range, a lifetime guarantee protects the quality of this pendant. We ensure each jewellery item has been subjected to close scrutiny and has been found to meet only the highest standards in Europe. 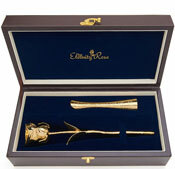 Our jewellery items have won a number of awards for their quality and design. 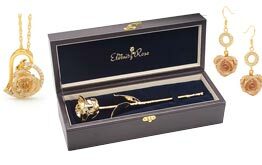 We spare no expense when refining the quality of our jewellery items, and they represent the perfect present for anyone who has a taste for beautiful jewellery and appreciates a rose's natural magnificence. 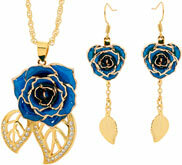 A set of matching earrings in this leaf-style theme is also available.